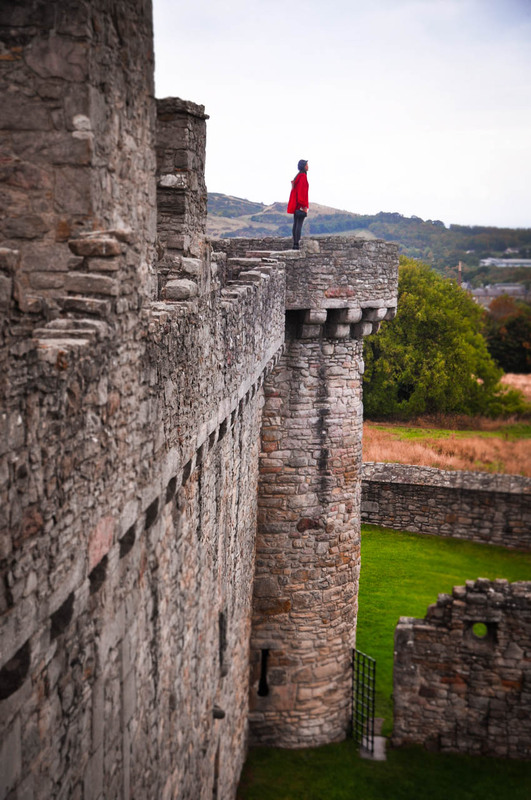 What makes castles so iconic that they inspire legends, conjure folk tales and weave experiences that echo across time? 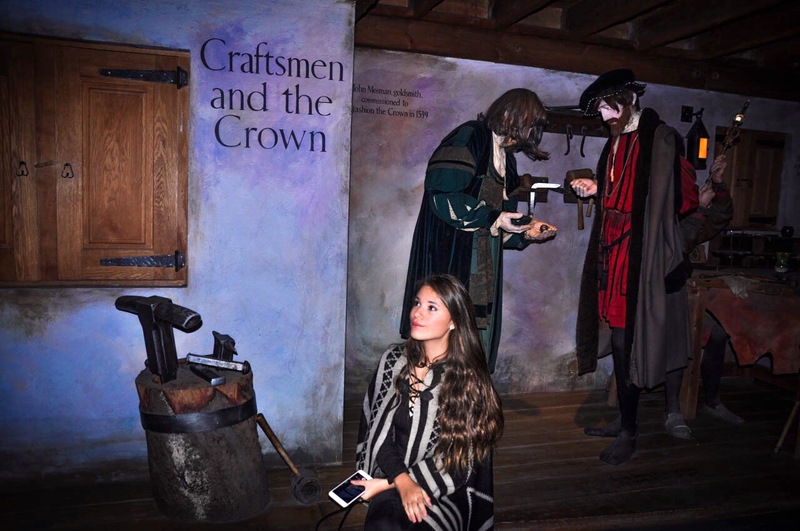 All across the world they rise above the land, icons of architecture, heritage and culture, strongholds in long and bloody wars, inspirations for fairytales, and gathering points for some of the most powerful historical figures in the world. 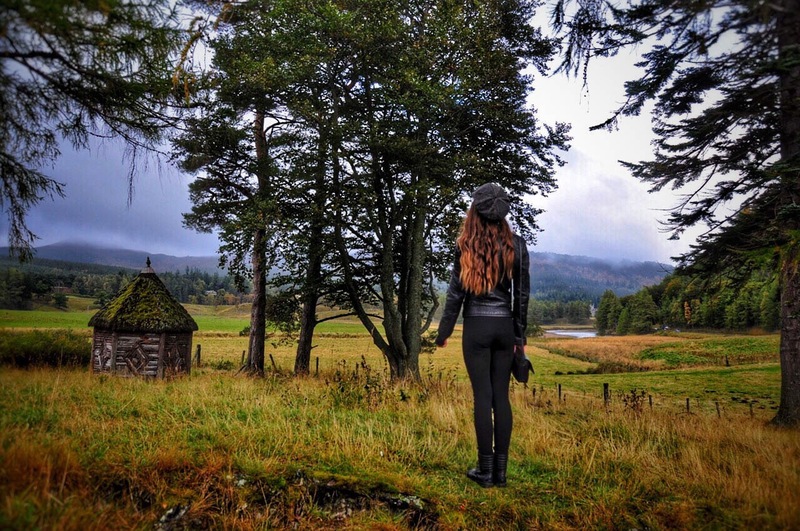 From the moment we touched down on Scottish soil, it was this very question that was emblazoned upon my heart, playing over and over again within my mind. It is no secret that I am a history enthusiast and lover of all things remotely royal and so you can imagine my excitement when this past autumn, we had the chance to explore a country that is home to arguably some of the most magnificent castles in the world, some of the most riveting royalty in all of history, and one that I had been dreaming about visiting since that fateful day when I first read about an extraordinary woman by the name of Mary Stuart, Queen of Scots. Each castle holds stories, tales of labours won and lives lost, of intrigue, betrayal, conspiracy and the never-ending struggle for power. But what I discovered in Scotland, was that some stories were only made up of a single sentence. That some stories had more than just one version of truth. And that some stories had no words at all but a single set of eyes. Whenever someone asks me why I love history, I always hesitate. There are so many aspects, so many different reasons why. On the surface, it was always the stories. The drama, the intrigue but mostly the mystery. History is almost always written by the victors, with fact and fable meshed together and an almost certain disregard for the real emotions that were at play. Whenever I read a new book or research a historical character, I look at them the way I would my own family. I read into their choices, their decisions, their hardships, their losses and their triumphs. I learn to love them as living breathing human entities, not shadows whose lives were defined by someone other than themselves. And so, I find myself entranced by some of the greatest mysteries that played out on the stage of time. But now I wanted to look deeper. Why did the hair stand up on my arm when I walked under a 500-year-old archway, or when I pressed my hand against the crumbling stone of a medieval courtyard? 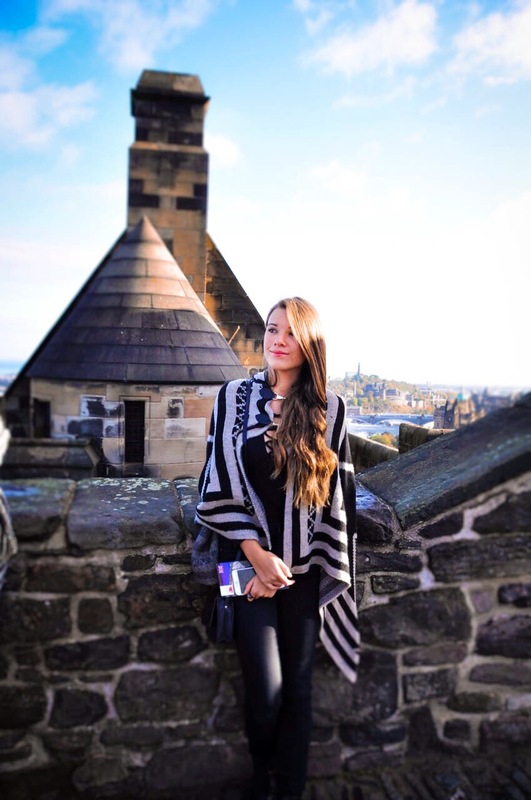 Why did I feel such a deep connection with the people who had called the castles I visited home? And why did I feel so alive when I stood on the edge of a castle’s turrets and looked out upon the land to a sea of ghosts who had once walked these stone battlements before me and now left their stories scattered through the embers of time. 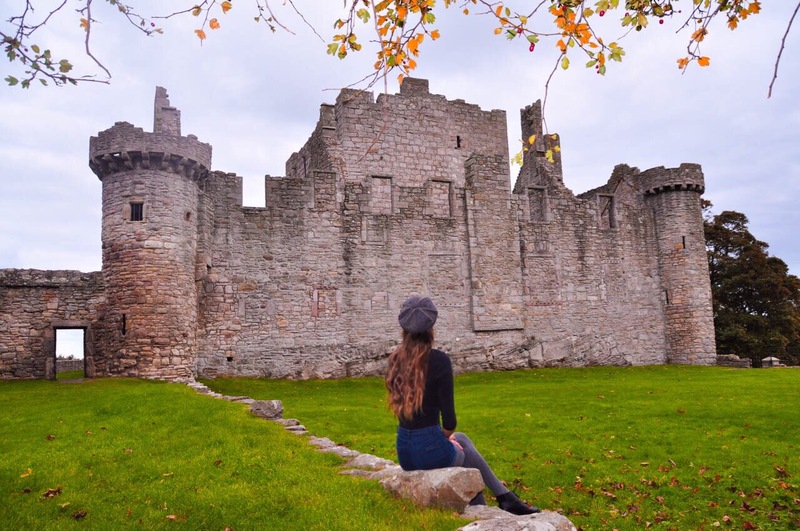 Perhaps it was the eternal strength that seeped through the stone and was evident in the very first glance when I cast my eyes upon Craigmillar Castle. 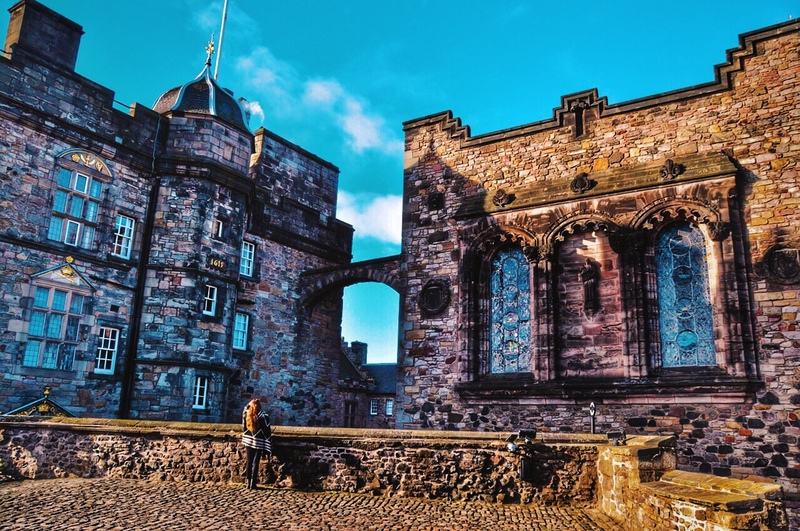 Located less than a 30-minute drive outside Edinburgh, the castle has stood since the early 15th century when the Prestons of Craigmillar raised the mighty tower-house, which today still commands the site. 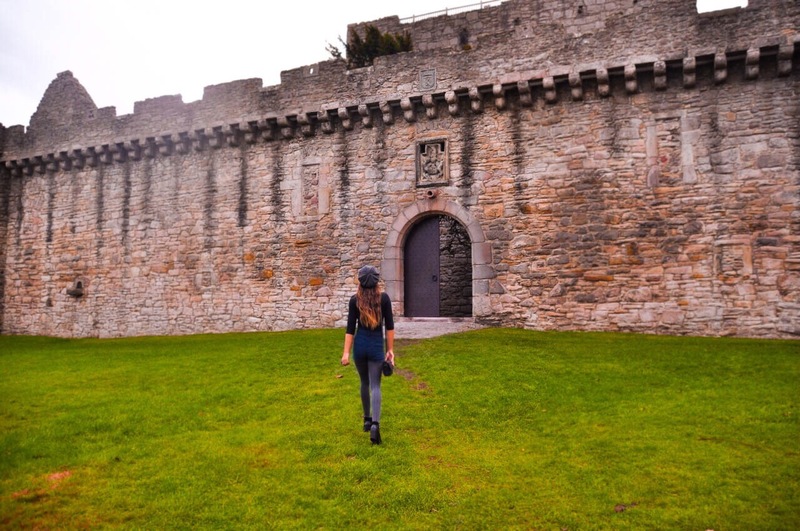 One of the most perfectly preserved late medieval castles in Scotland, formidable in stone and size, Craigmillar has stood the test of time and even witnessed events which changed history. 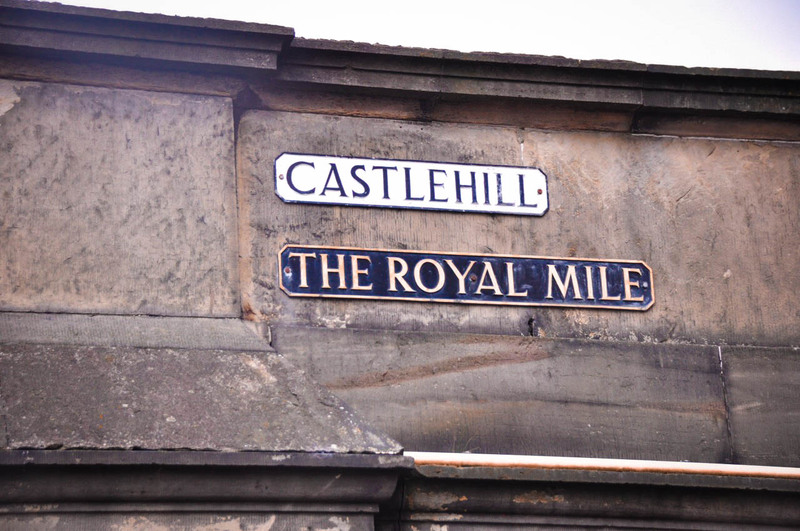 With Darnley out of control and having failed to agree a solution with their Queen, it was here that a small group of Mary’s advisors and lords met and signed The Craigmillar Bond, binding themselves to kill him. The bond would turn fatal for Darnley, for in February of the following year, the lords made good on their promise and blew up Henry’s townhouse. When he was found nearby, it was clear that he had been strangled. 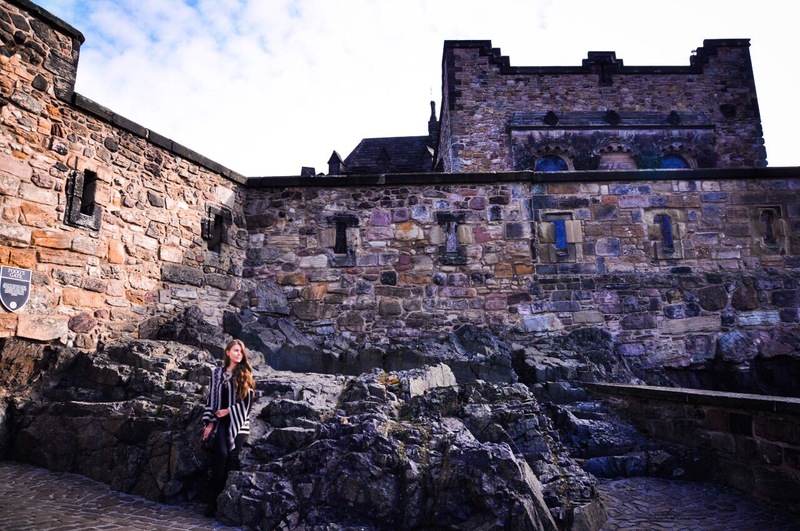 Climbing the turrets to the battlements, the autumn wind tearing through our clothes and hair, I glimpsed a memory of Mary imprinted through time, looking out over the North sea, her fiery eyes and hair almost magnetic against the grey stone. In a way, she had been just like this castle, buffeted by turbulent and tragic winds her entire life but strong and determined to succeed no matter the odds. At one point, she had been heir to not one but three kingdoms. But now, as I too looked out across the quivering fields of grass, made gold by the changing of the seasons, the waves of the North Sea distant and yet moving as one with the land, it was clear why Mary had chosen to return to Scotland. If she had indeed inherited Scotland, France and England, there is no telling what heights she might have achieved, how she might have influenced the growth of Europe and perhaps even brought about one of the greatest alliances the world would have ever seen. But instead, her path had led her South to England, to betrayal, imprisonment and finally death. Or perhaps it wasn’t that strength that enamoured me at all. 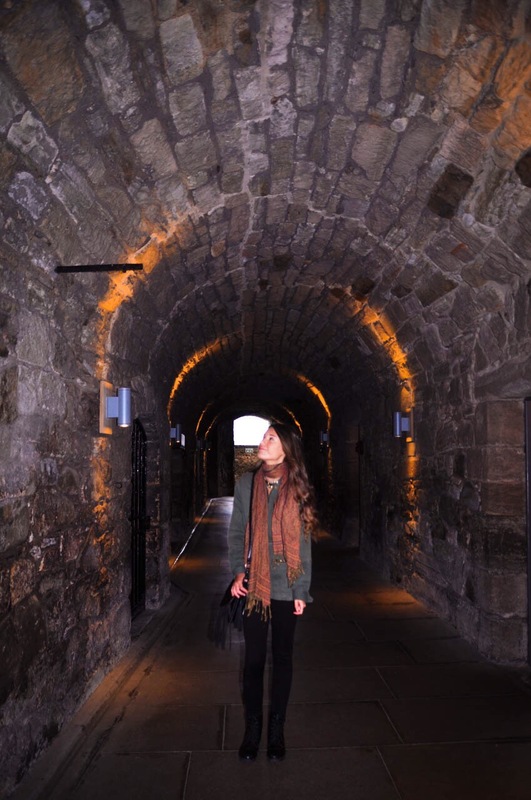 Perhaps it was the call of heritage and culture that is at the very heart and soul of Edinburgh Castle, steeped in tradition, iconoclastic of Scotland and its history. 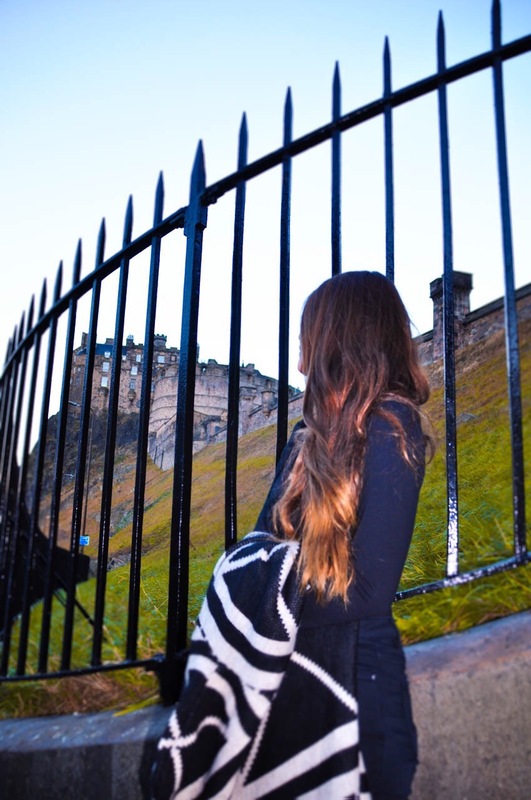 While the facade of Edinburgh Castle is an almost amber gold against the rising sun, when I first saw the stone walls of the fortress, balanced precariously on the East hill of The Royal Mile, I saw a thousand colours flash before my eyes. 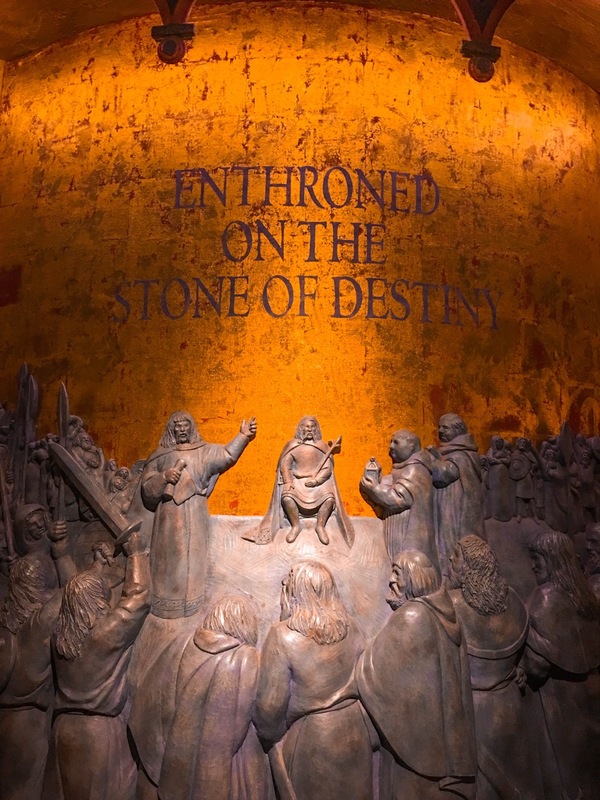 At the forefront, the sapphire blue of the Scottish flag gleamed, giving way to a time where Scotland ruled in its own right, uncurbed by England, anointed by the sacred stone of destiny. 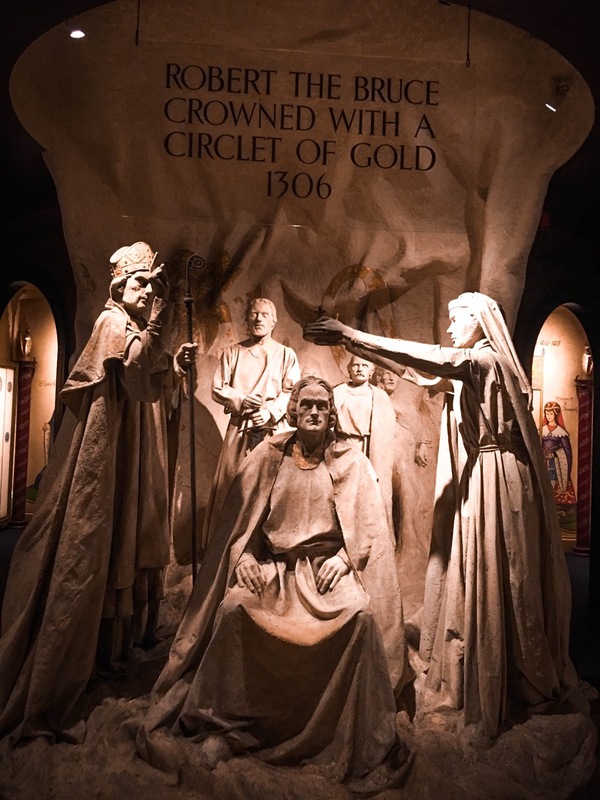 One of the greatest chronicles often overlooked by many historians, is the history of how the early sovereigns of Scotland were crowned, inaugurated on Moot Hill at Scone in a simple ceremony that signified a symbolic union between the land and its people. In fact, the first recognised King of a unified Scotland, Robert The Bruce, wasn’t even crowned with the Christian rights of Coronation and Anointment with the sacred oil that was deemed so vital and still is today. Instead, he was crowned in 1306 with a circlet of gold, by a woman, Isabella MacDuff, Countess of Buchan. 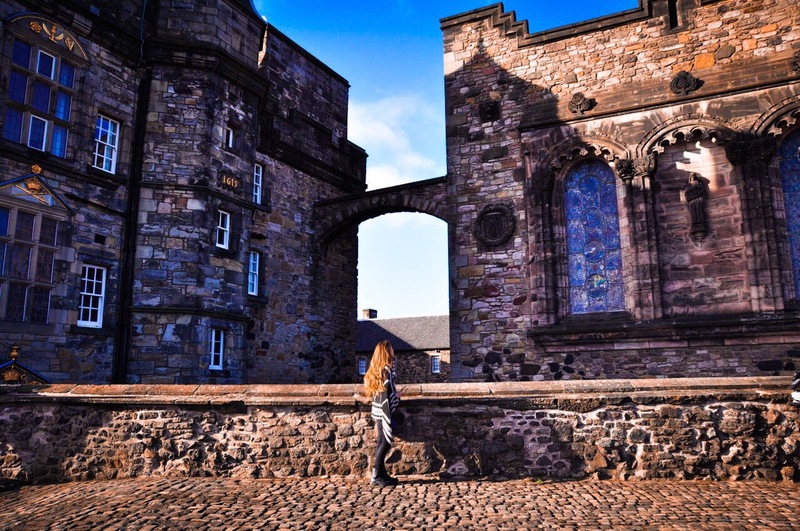 Mum and I decided to explore this castle together, just the two of us, and to ensure we had enough time to explore, rose at 6 am so we could explore into Edinburgh in the early dawn and arrived at the castle just as the gates opened. Climbing up the magnificent stone staircases, weaving our way in-between the stone walls of St Margaret’s Chapel (the oldest building in all of Edinburgh), the sun shone through the clouds for the first time in three days, and as Edinburgh Castle cast its shadow down on the city, it was easy to see why it had been at the centre of power, a force of influence and prestige for centuries. It commands attention and you can feel that very same formidable might today, even as a tourist with only a glimpse into an ancient scheme of much grander plans. We wiled away the early afternoon, taking refuge from the cold within the Great Hall, exploring The Royal Palace Chambers, The National War Museum, and The Military Prison (just to name a few), scouring each wall for stories and reading until our eyes grew sore. It was at Malplaquet that a soldier’s wife who had been in winter quarters, decided to return home to Scotland. She handed her infant son to his father, Private McBain, who was on parade. Having nowhere else to put him, Private Mccain fought the battle with the child in his knapsack. What captivated me the most was the diversity that this castle had experienced. 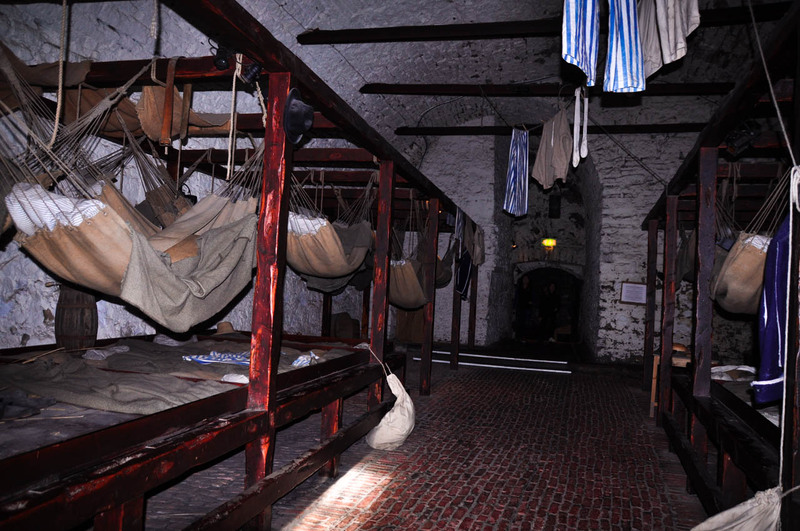 For some, Edinburgh Castle had been a royal residence, a palace of luxury, wealth and glamour; for so many others it had been a prison, a place of torture and torment and death. 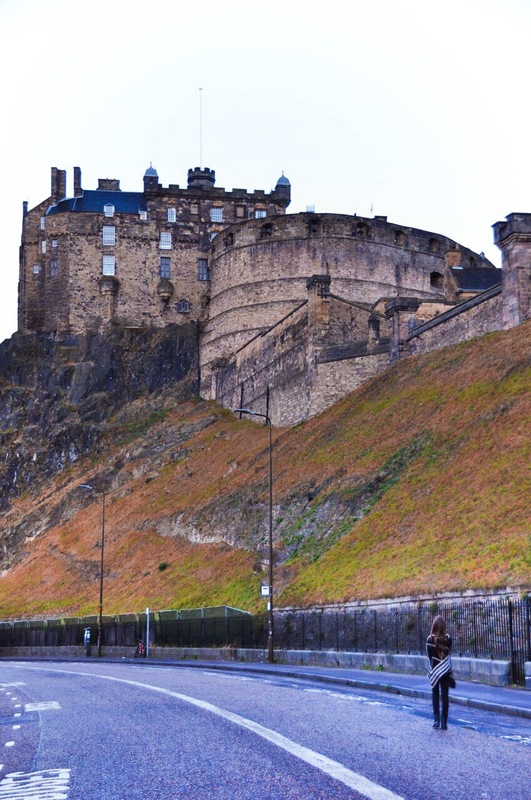 For many soldiers, Edinburgh Castle held a position at the centre of their conflict, playing major parts in the Wars of Scottish Independence in the 14th Century to the Jacobite Rising of 1745. 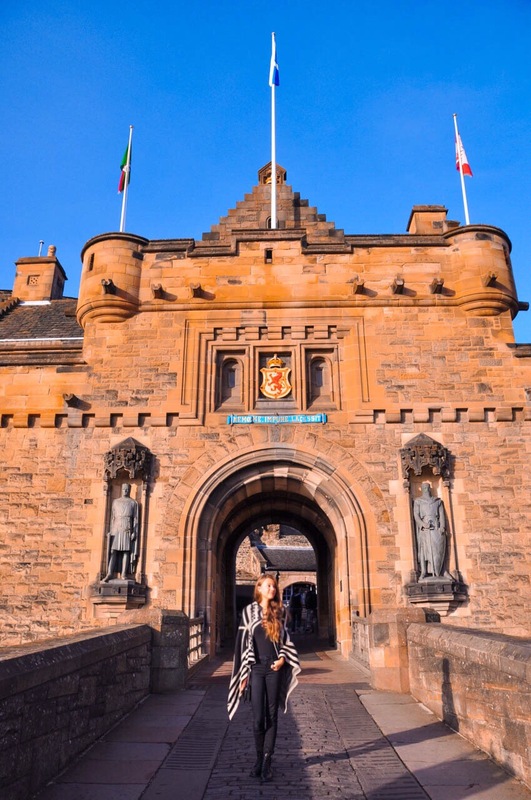 The castle has also suffered 26 sieges in its 1100-year-old history, giving it a claim to being the most besieged place in all of Great Britain and one the most attacked places in the world. But through all the web of stories, intertwined throughout history, one tale stood out for me in particular. The tale of King James and his promise. When James VI, son of Mary, Queen of Scots, was crowned against all odds in a unification of Great Britain, he promised to always remember Scotland as his reigning home and return every three years. 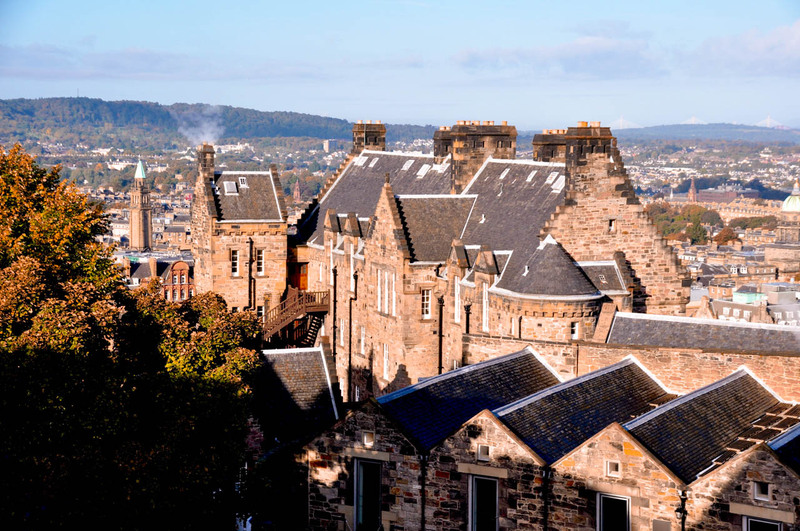 On April 5th, 1603, James left Edinburgh for London. In 1617 James strode into the Laich Hall at Edinburgh Castle, after a 14-year absence. The entire palace had been rebuilt for the royal visit, which was in honour of James’ Golden Jubilee. The King hosted just a single banquet in the castle before heading back to England. He never returned. Perhaps that wasn’t it either. Perhaps what enchants me so is the call of the wild, so blatant at Braemar Castle, unmistakable in the piercing highland air. 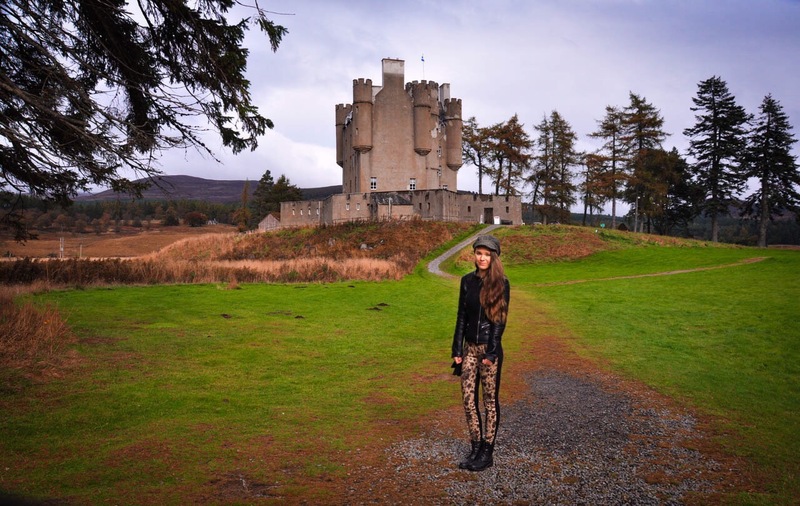 Rising above the moors in Cairngorms National Park, Braemar Castle is but a hair’s breadth away from Balmoral, the official Scottish residence of the Queen and the ancient seat of The Highland Games. Built in 1628 by the 2nd Earl of Mar, John Erskine (who was a childhood friend of King James VI of Scotland and I England), it has lived a great many lives as a hunting lodge, fortress, garrison and even a family home. 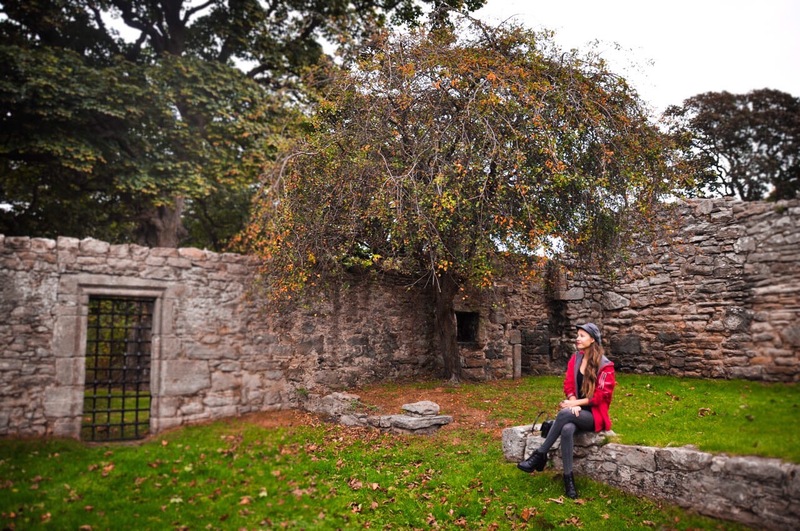 Surrounded by striking wildlife and natural beauty, it is clear why Queens and Kings alike were so enamoured by this place and why even today, Braemar inspires volunteers to upkeep the grounds and grand interior of the castle with a passion. But even beauty has its own darkness. At the heart of Braemar Castle was once a bitter rivalry between The Earls of Mar (the Erskines) and the Farquharsons of Invercauld and Inverey. 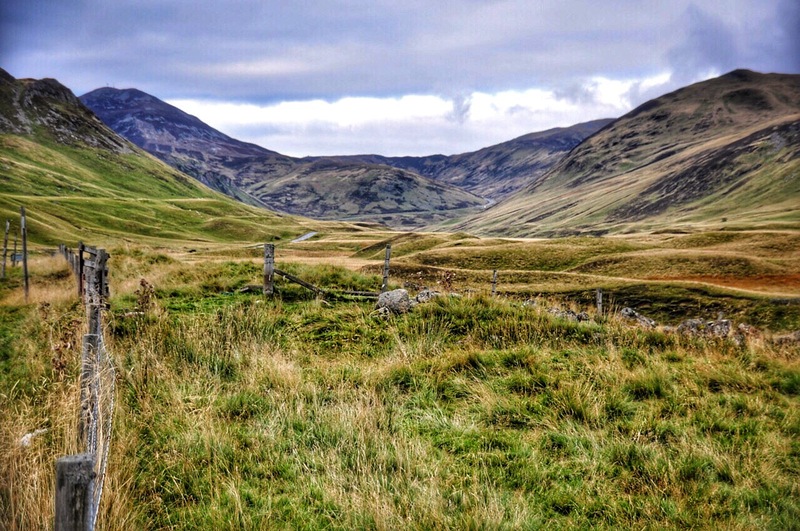 Separated only by a stream and a few fields, their conflict was renowned all over the country and their enmity for each other, known far and wide all across the Highlands. 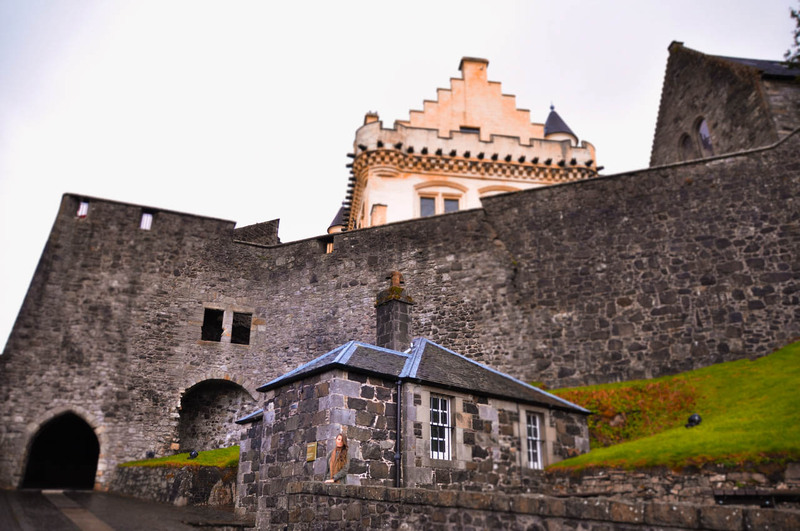 The feud between the two clans finally came to a scorching head when John Farquharson, the Black Colonel, burnt Braemar Castle to the ground to stop it being used as a base for government troops. 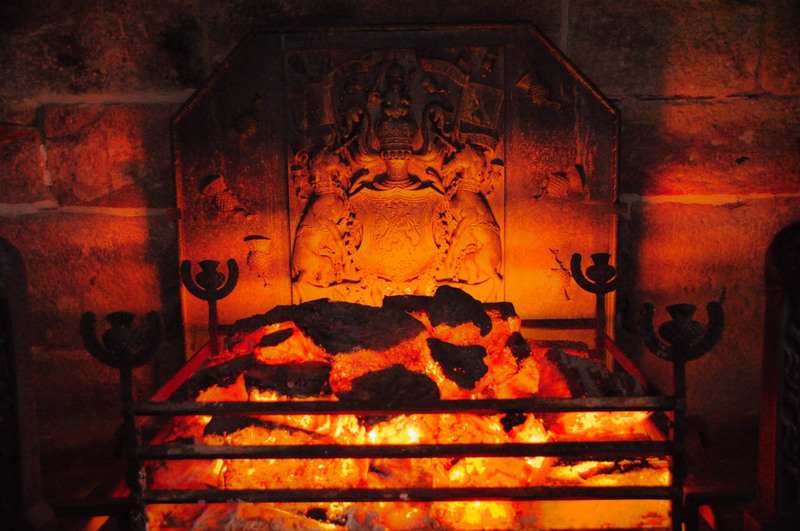 But even a blazing fire wouldn’t take the castle and deed of ownership from the Erskines; instead, it would be a disastrous political mishap made by the 6th Earl of Mar, which saw him exploit the inner workings of the British Government that would finally wrench Braemar from their grasp. In 1716, the Earl of Mar lost his home to the crown and immediately thereafter saw it purchased by none other than John Farquharson, 9th Laird of Invercauld. 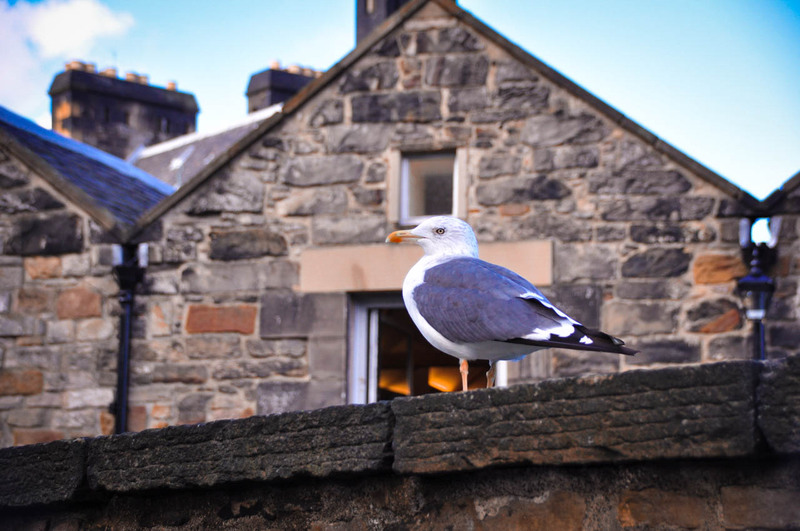 While the castle and lands were required at first to be leased to the government to serve as a garrison for Hanoverian troops, it was returned in 1831 to the Farquharson clan and there it has stayed ever since. But this isn’t the only act of betrayal that took place with Braemar as witness. For upon its land, lies the Hanging Tree and its curse. There was once a young laird named Lamont of Inverey, who was upset with the rise of the Farquharsons in Deeside that began with Finlay Farquharson in the late 16th century. To try and stop the further accession of their power, Lamont offered his services as a scout to Chattan raiders, raiders who had, according to some stories, burnt hundreds of Farquharson houses to the ground. Lamont believed that if he helped the Chattan and they were successful in breaking the power struggle in Deeside, that the Lamonts could rise to influence. He was wrong. It had become known that Lamont had acted as a scout and aided the Chattans. He was arrested by the Farquharsons on the charge of ‘stealing sheep’ for at the time, such a crime was punishable by death. He was sentenced to die by the Hanging Tree. The words echoed first on the wind and then across time, for the curse spoken in deep grief and rage took root in the old woman’s wish and the tree continued to stand long after the last of Finley Farquharson’s male line had died out by 1900. 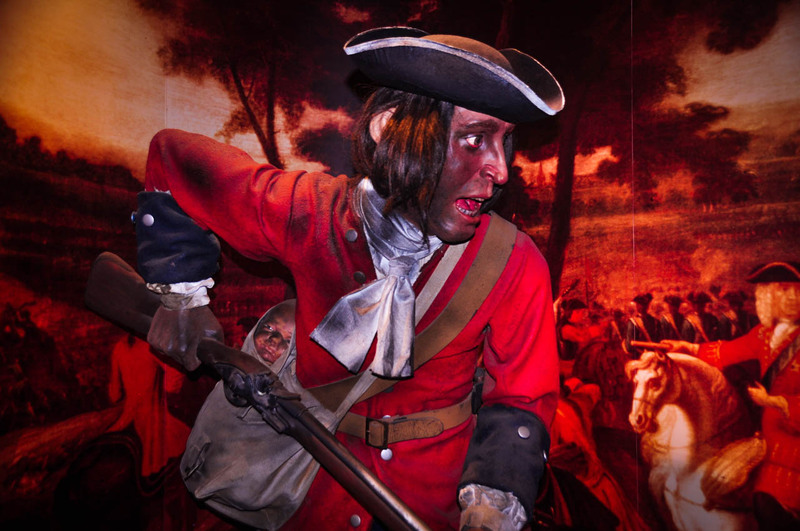 But among the many dark deeds woven through the castle walls, there is bravery and courage yet and one such example came to light in the Jacobite rebellion of 1745. 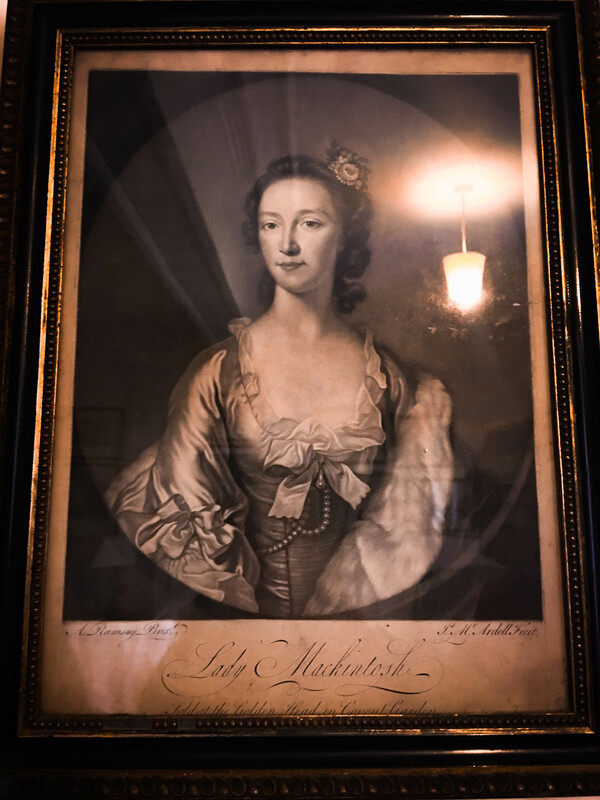 ‘Colonel’ Anne Farquharson, the lady Mackintosh, defied her husband and went against her father and brother (who were all soldiers in the Hanoverian army) to raise Clan Chattan for the Jacobite cause. She entertained the Bonnie Prince Charlie in her home and when they were about to be attacked, saw off a troop of Government soldiers with just four other villagers, allowing the Prince to escape, much to the fury of the Hanoverian commander. As a token of his gratitude, Prince Charles gave her a ribbon of the Order of the Garter and a piece of the tartan plaid he constantly wore. 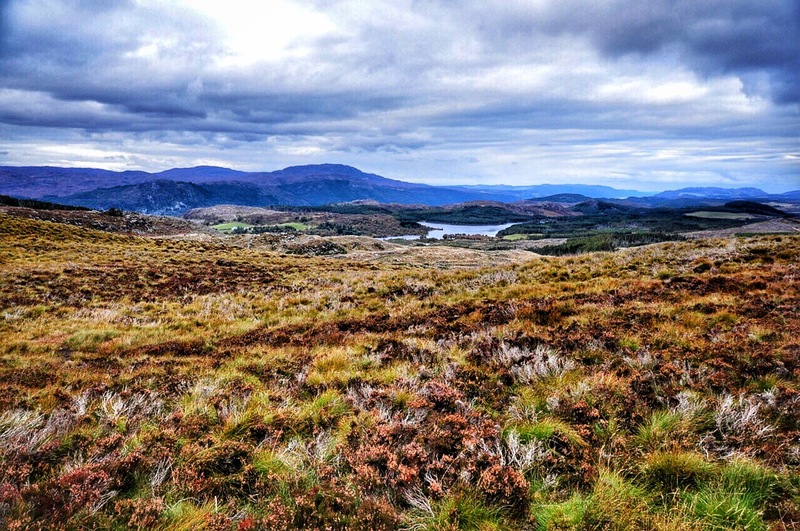 The next month, Anne’s husband and 300 other men were captured north of Inverness. The Prince paroled Captain Mackintosh into the custody of his wife, commenting “he could not be in better security, or more honourably treated.” She famously greeted her husband with the words, “Your servant, captain” to which he replied, “Your servant, colonel” thereby giving her the nickname “Colonel Anne”. She was also called La Belle Rebelle (the beautiful rebel) by the Prince himself. 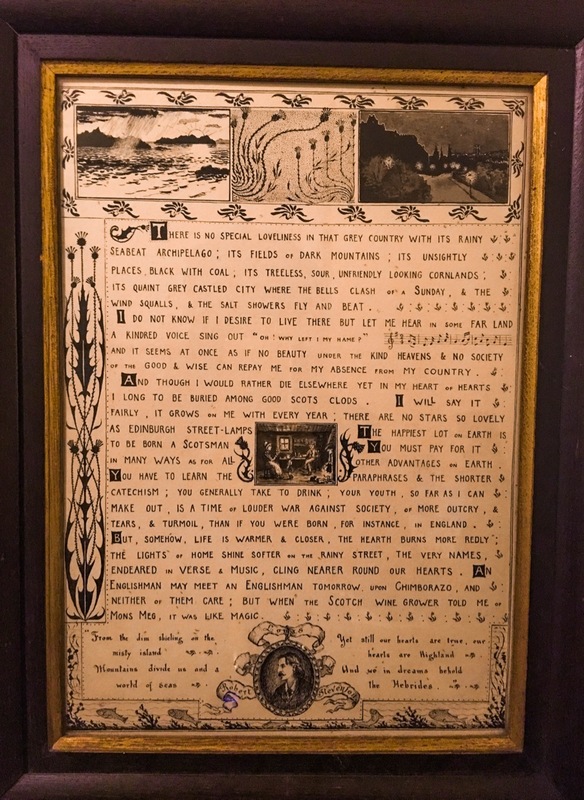 Standing within the cold stone walls, staring at the scattered portraits and paintings of Erskines, Farquharsons and now Lady Anne Mackintosh, I couldn’t help but feel the tug of all their stories interweaving, lapping over each other, one by one until the entirety of Scotland was interconnected. Before the internet, before all modern technology, it was through stories that power was recognised, that knowledge was given and shared and wealth measured. I knew I was not the first to hear these particular stories and definitely wouldn’t be the last, but I couldn’t help but wonder, what if these tales, woven through the cracks of time, had their own hand in inspiring Robert Louis Stevenson to write his novel Treasure Island, for it was here at Braemar Castle that he penned the legendary story. Kept inside by vicious rainstorms during a family holiday to the Highlands, Robert found inspiration in a map of an imaginary island drawn by his step-son Lloyd. 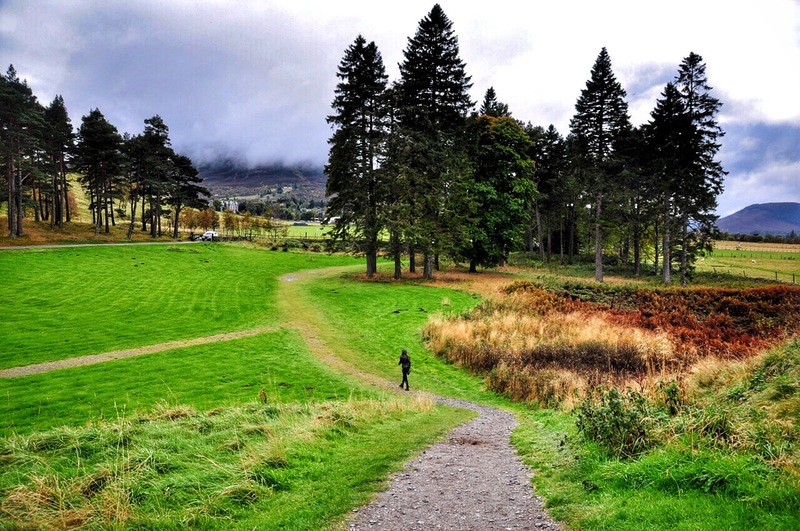 He completed over 15 chapters of the book while staying at Braemar, while the winds ripped apart the countryside surrounding them, and read what he had of the story to his family each night before bed. I smiled at the commemorative room in the castle dedicated to Robert and Treasure Island itself and couldn’t help but promise myself to never begrudge a day of rain again. 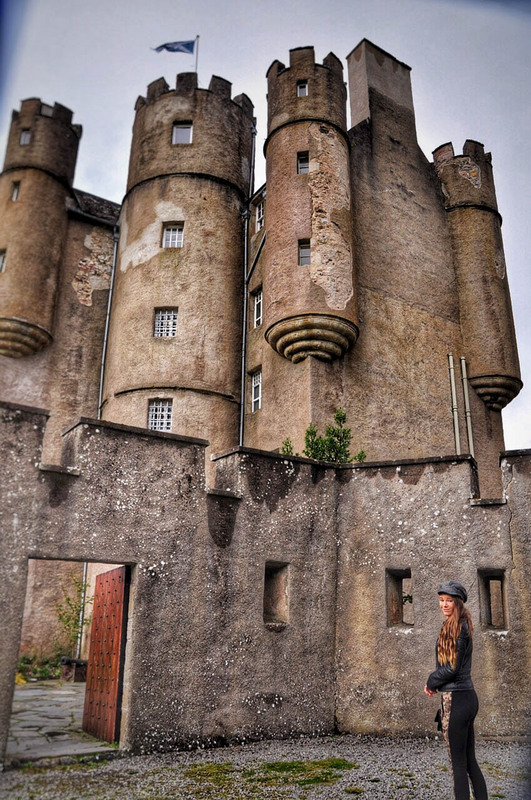 For what I think Braemar Castle taught me most, is that stories can come from the most unexpected places. A poorly judged mistake, a curse upon a tree, the resolve of a beautiful rebel and rain. Wild rain that keeps you inside to write. Or perhaps it wasn’t that wilderness that enraptured me either. 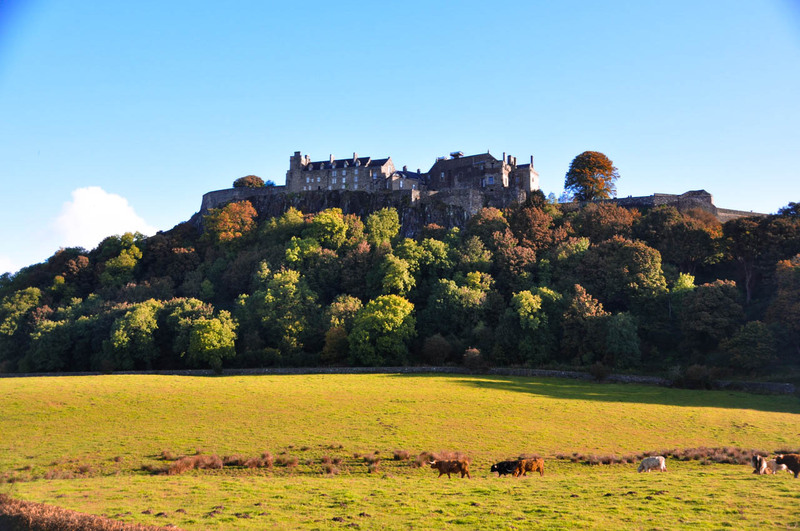 Perhaps all along it had been the majesty and regality, of royal residences and that same grandeur that flows through the very veins of Stirling Castle. 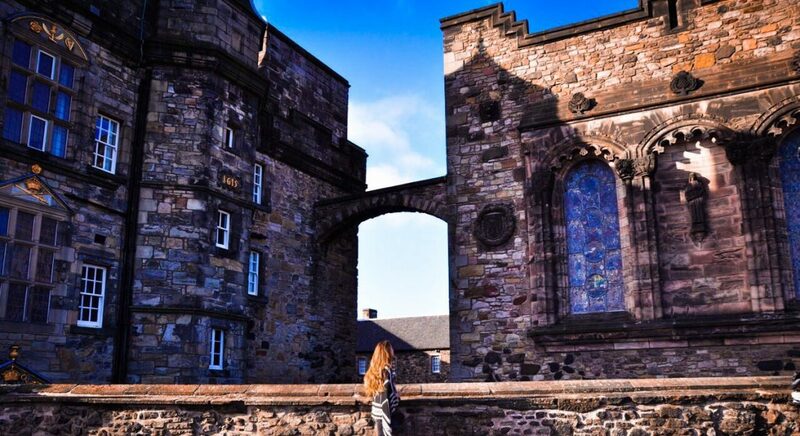 Steeped in political intrigue, a doorway to the Highlands and Edinburgh and perhaps the most vivid, preeminent example of one Monarch’s desire to establish it as living proof of the culture and refinement of the Scottish court, in what was then considered by many to be a wild nation. But the majestic architecture, distinct and detailed gargoyles and forbidding statues, restored to only a shadow of what it would have looked like at its zenith in full colour, was anything but wild and would have rivalled the greatest castles and courts of Europe of the time. 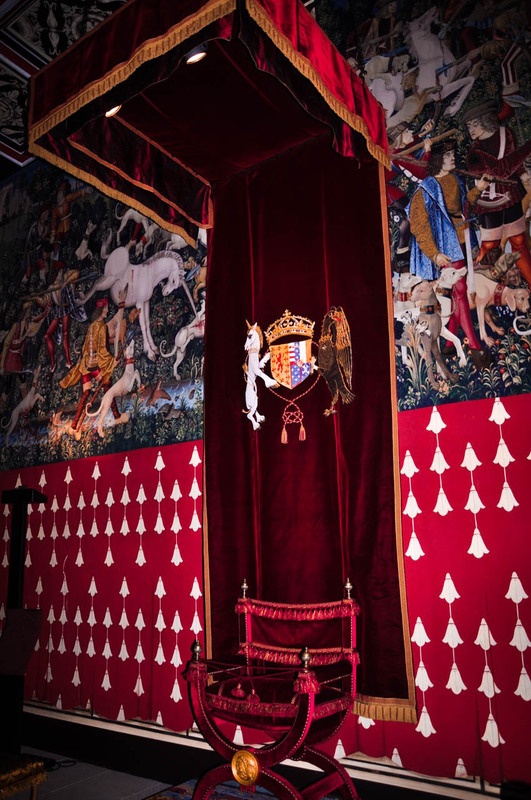 James V wasn’t old enough to walk when he was crowned King of Scotland in the Chapel Royal of Stirling Castle. By the time he was set to inherit his throne in 1528, squabbling noblemen had virtually bankrupted his kingdom. But James was utterly determined to be a Renaissance prince, who would rise just as high as his European counterparts. He married twice, both times strategically, and used the huge dowries of his wives to create a vibrant, cosmopolitan royal court. 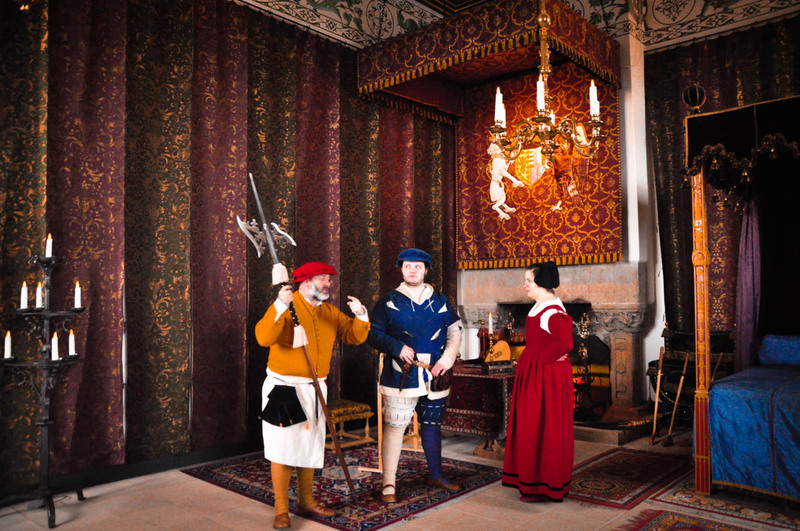 He and his second wife, Mary de Guise, constructed the grand palace at Stirling Castle, which was designed not only as proof of Scotland’s intellectual achievements but also to heighten royal mystique. James was a patron of poets and writers, as well as a skilled lute player who could read music. 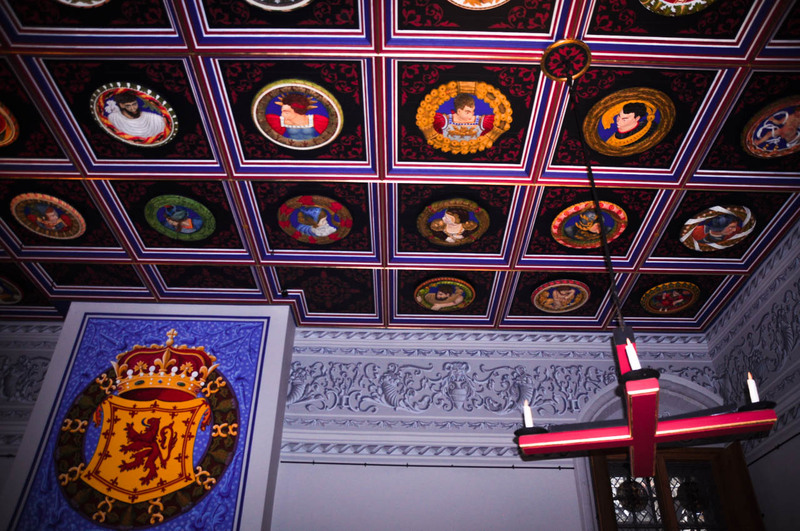 But it was the infamous Stirling Heads, hundreds of carved oak medallions that graced the ceilings of Stirling Castle during his reign, that truly enabled him to make his mark on the magnificent 900-year-old castle. Today, some of those very same heads are on display at the Stirling Heads Gallery. 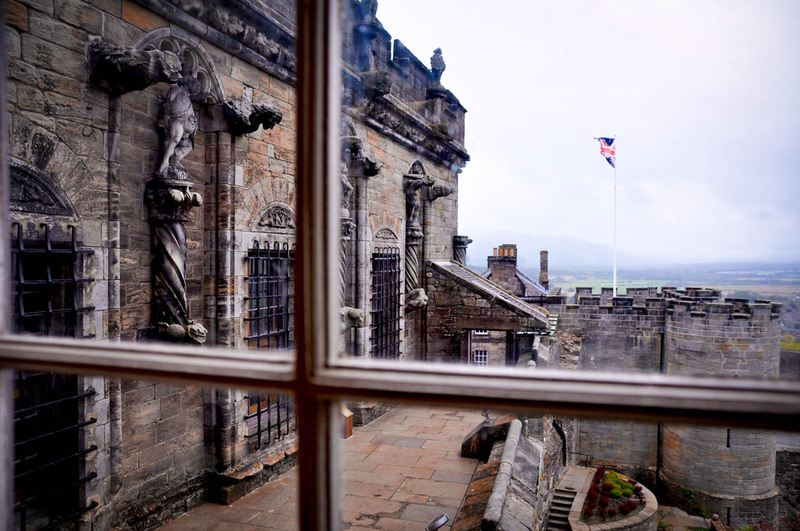 It was only fairly recently that Historic Scotland completed their 12 million dollar project to replicate the heads that were damaged beyond repair and refurbish the upper floors of the palace, with them as centrepieces. As we made our way through the castle, I found myself staring more up then around, too enamoured with the colours to look away. James V did indeed reach his goal of becoming a King remembered for his creative aptitude, just as much as his formidable figure on the battlefield, but disaster would be his end. 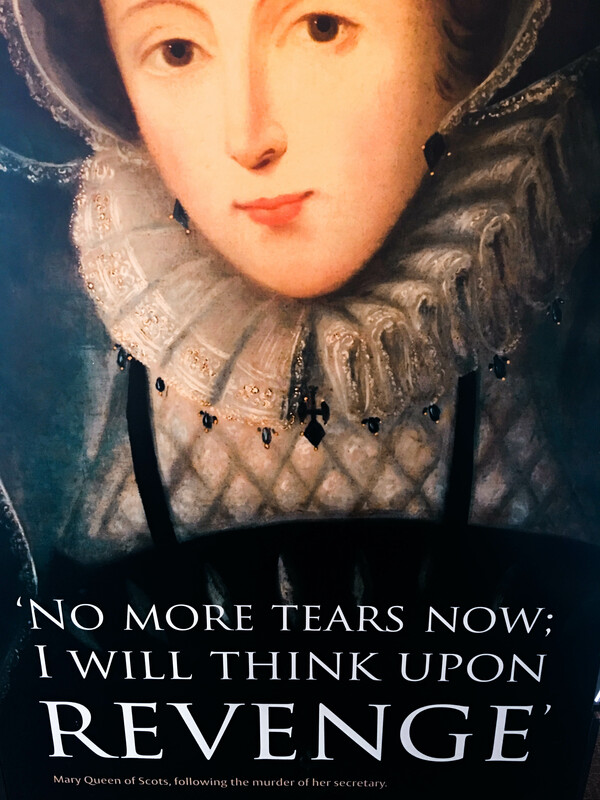 He died an untimely death of what was said to be grief, caused by a loss against the English at the Battle of Solway Moss in 1542, leaving his daughter Mary Stuart to be Queen of Scotland when she was just one week old. It is said that when James was on his deathbed, delirious with fever, he had whispered the words: ”It came wi a lass, it’ll gang wi a lass” (Meaning “It began with a girl and it will end with a girl”). Many have speculated if this was either a reference to the Stewart dynasty’s accession to the throne through Marjorie Bruce, daughter of Robert the Bruce, or to the medieval origin myth of the Scots nation, in which the Scots people are descended from the Princess Scota, but all I can think about is that his words, no matter how incoherent or drowned in delirium, had held truth. We continued our exploration of the castle, journeying deep into the Palace Vaults where among showing my family how the royalty of the day wore scented pomanders to ward off the excruciating smells that came with calling a 16th century court home, we also learnt how rare pigments were shipped in from all over the world to create gorgeous paints and dyes, and all about the tools and techniques used to create the Stirling Heads and the stone carvings around the palace. But even after wandering some of the most spectacular and imposing parts of the castle, I don’t think any of us were fully prepared for the grandeur that is The Great Hall, nor the stories that lay within those wooden beams. In 1594, James VI (Mary, Queen of Scots’ son) held a banquet in the hall for the baptism of his own son, Prince Henry. It was so lavish that the fish course was served from an enormous full-size wooden ship, complete with live mermaids and firing cannons. I couldn’t believe the story until I learnt that this magnificent banqueting hall is the largest of its kind ever built in Scotland. I sank into the thrones provided and tried to imagine just what it would have been like to sit here as sovereign during such an occasion of feasting and dancing that would have lasted long into the night. 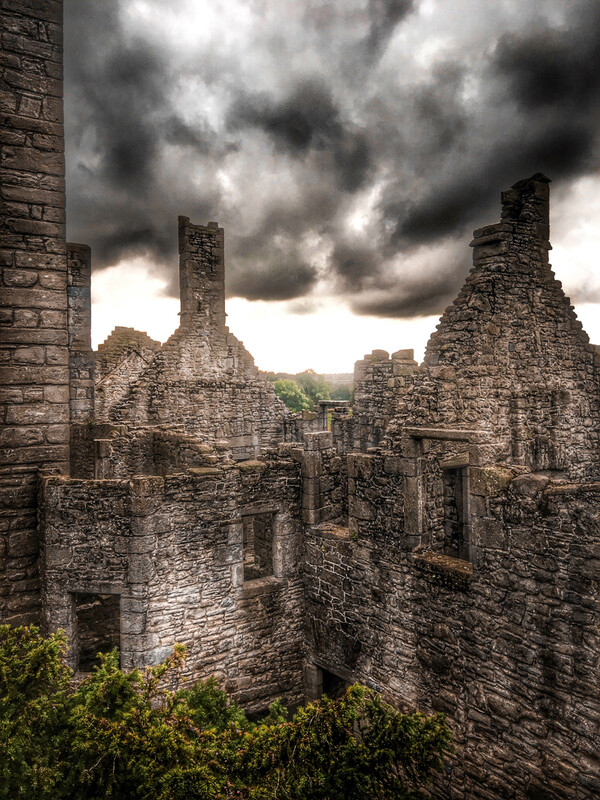 If I’m being completely honest, there were more than a few moments when I let my imagination ignite the fireplaces and transport me back, back to when this palace was at its pinnacle and for a few hours, the lords and ladies and kings and queens could forget there was ever a world beyond the walls of Stirling, ever a place where wild animals ruled the highlands, where families starved and war crept closer and closer until instead of wine, blood would reflect in their crystal goblets and tears would run where water once was. We left the Great Hall, soon after I managed to separate reality from fantasy, and from the stain glass windows of the Chapel Royal, watched as the rain began to fall. The castle was about to close and our car was located on the other side of the stone walls, meaning we would have to make a run for it through what was steadily growing to be a storm. I took one more look around the opulent chapel, my eyes glazing over some of the most intricate and exquisite tapestries I had ever seen, stories literally woven through time. Then we ran. As we hurried across the slippery cobblestone of the courtyard, the salt of the rain mingling with our clothes and hair, I felt an unmistakable rush of joy envelop me. I laughed aloud, thinking about how much the world had changed since James V and Mary de Guise had ruled these halls and just how much it would change again in the coming centuries. 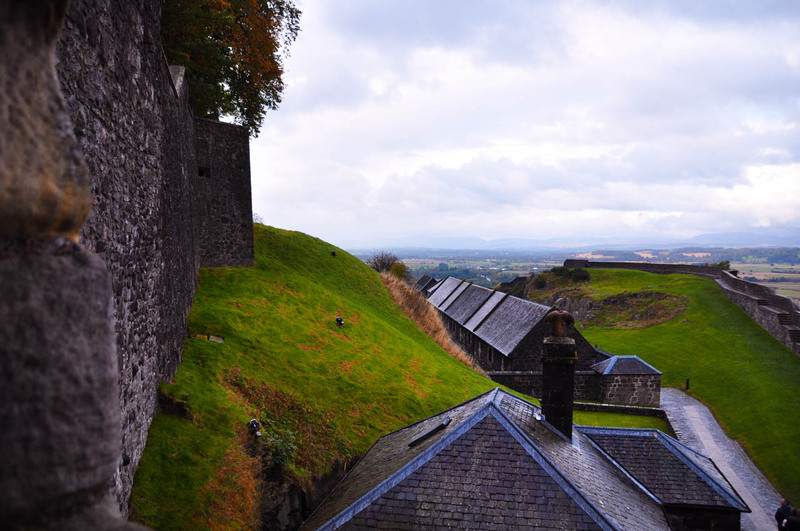 The moment we stepped outside of Stirling Castle’s stone halls, the last of the castles we were to explore behind us, I realised that we had come full-circle, not just through our roadtrip, but through the lives of a few certain individuals. I also realised that I had my answer to my question, but it wasn’t the answer I had started out looking for. What I determined over those two glorious weeks in Scotland, is that sometimes there isn’t a straight answer to ‘why’ simply because the question cannot be answered in words. Yes, I could try to explain that feeling, the exhilaration that courses through my veins when I see the spires of a palace or the turrets of a castle rising into the sky, the quiet thrill when I stand inside a room and imagine who would have stood in the exact same spot as I, hundreds of years before me, and the emotion of plain and perfect joy when I discover a story lost between the pages of history and so ensure its continuation by simply letting the words run through my heart. But I would never do it justice. Sometimes it is best to leave some things unspoken, for some things are only for history’s eyes, time’s ears and your heart. 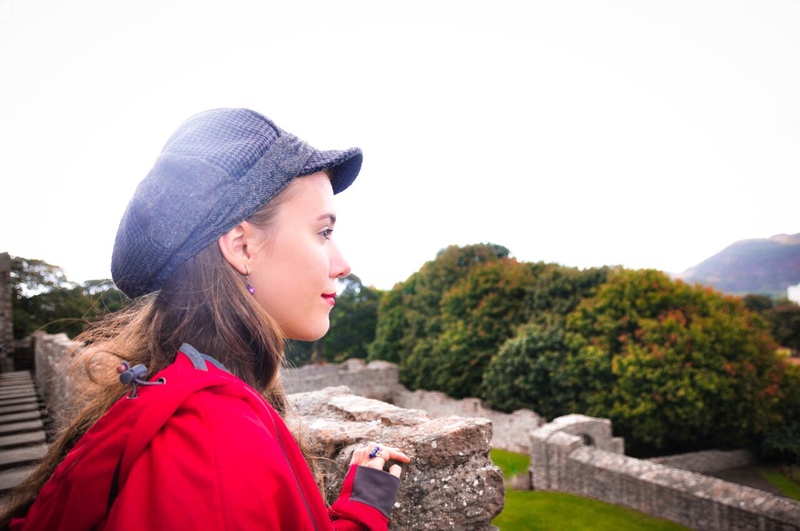 What I did deduce, however, was that my love of history was a part of me, as deeply set as my bones and that visiting castles and hearing their stories will be something that I will never tire of. And yet, there is always that concern, growing in force and weight as each day passes… Is there truly a place in our world for castles? 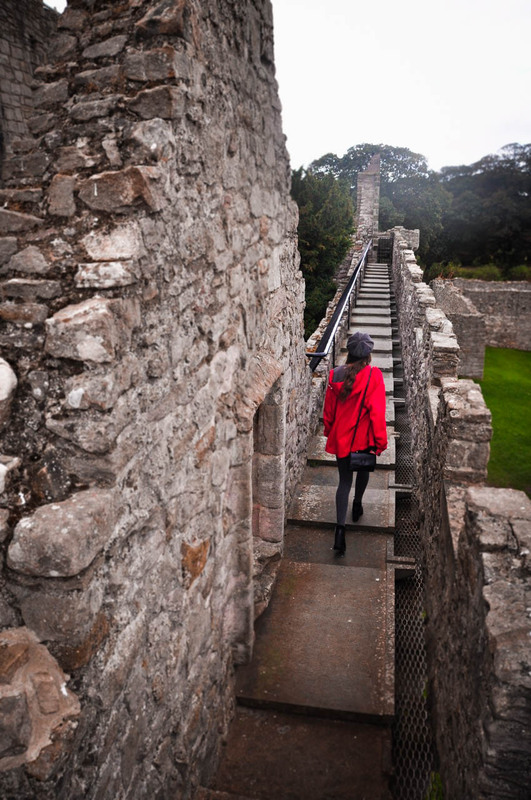 There are lots of questions about whether castles should be preserved, after all, the costs associated with these heritage sights are monumental. Yes, they vary from place to place, but all of them usually take upwards of hundreds of thousands of dollars to maintain. Perhaps we should close up these old, crumbling piles of stone. 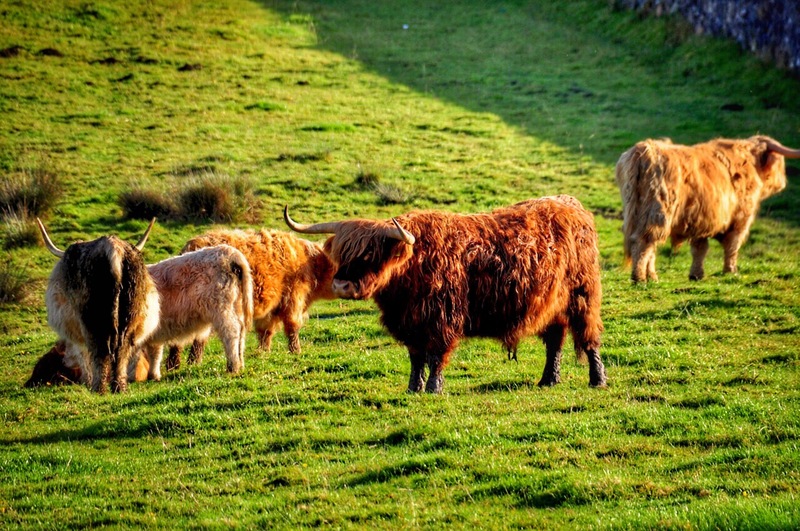 Perhaps we should let them fade away underneath the harsh sun or wallowing mist. After all, I’m sure all those government funds, tourist money and volunteer time could go somewhere much more productive. Somewhere that will be much better suited to planning and securing our future. But I can’t help but wonder… what would our future be without our past? My passion for the subject I was talking about trailed off, for I could see quite plainly that I had lost the girl’s attention. She was looking out the window again, grimacing politely. We spent the rest of our ride together in silence. At the next station, the girl and her mother got off, each carrying a piece of a science project with great care. They were off to one of the biggest science fairs in the country and it was the last we would see of them. The doors of the train sealed with a hiss and we sped onwards to Agra, a city whose claim to housing some of the most majestic historical monuments in the world was undisputed. In that moment, I felt the essence of history, the soul and spirit of every single palace, ruin, fort, tower, chateau, bastion and castle in the world. Because each and every one of them was a living heritage. Not just a glimpse into the past, but a directional guide for the future. The stories that were, the tragedies that struck, the lives that were lived and lost and all the mistakes that were once made that we can now change. The proof was right in front of us, etched into the cold stone with loving hands and yet still we couldn’t see the loops that played out over and over again. 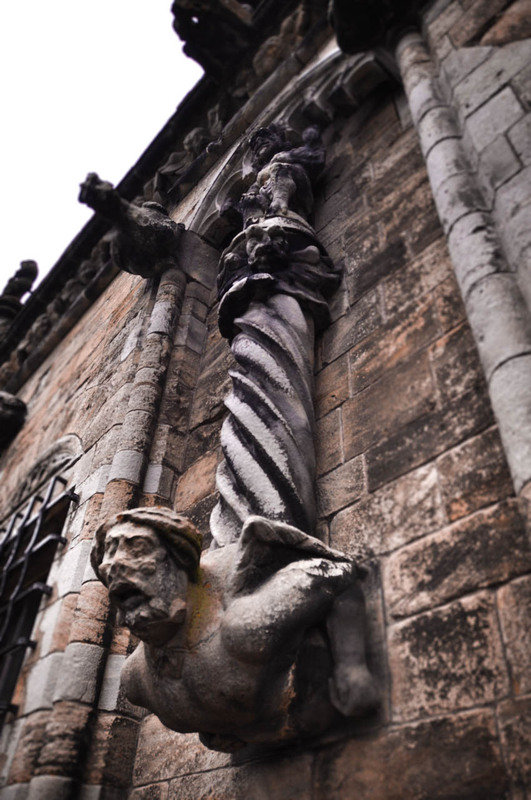 The lessons taught by these worn and ragged and bloodied figures, towering up above the Earth. To show forgiveness to those who wronged you and so to reverse the curses on the unmerciful. To never relinquish your morals and ideals, even when the whole world seems to stand against you, even when that courage will lead to nothing but a destiny of destruction because there is always a choice as to how you will be remembered. And make no mistake, you will be remembered. 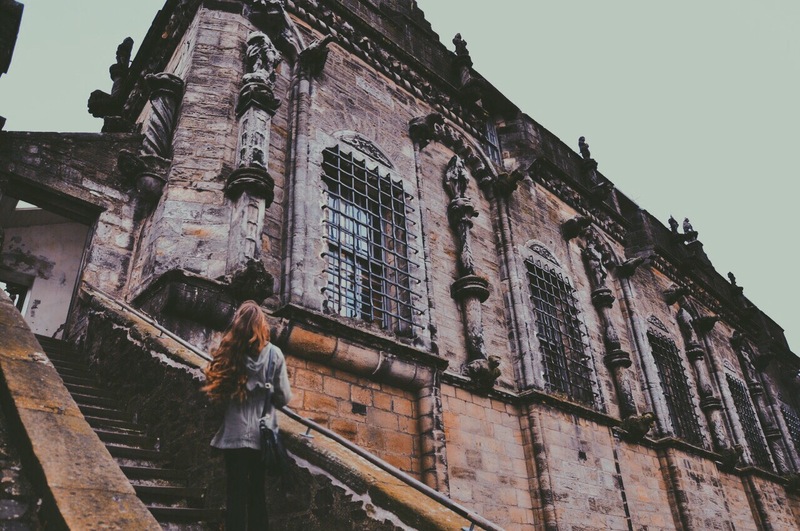 Perhaps it won’t be a grand palace that tells your story or the crumbling walls of an ancient castle that whispers your name, but your life will live on in the minds and memories of those who love you, of those you loved. If we destroyed these reminders, whether they be your family or an awe-inspiring castle that has weathered hundreds or even thousands of years of time, we’d be losing not just a memory, but a valued story and we, as human beings, are all storytellers. We have the ability to create something from nothing, to speak words and then bring them into existence and to imagine. And yet, we aren’t the only ones that can weave tales through time and take them with us, for some can speak without uttering a single word and some are a last and final testament to lives that once were. And all, in a way, are just as alive as you or I.
Köszönöm Drága Nagymama. Remélem veled is lesz alkalom ellátogatni ilyen helyekre. Enjoyed the mini tour! Thanks! Thank you! I’m really glad you enjoyed it. It is a passion for me. 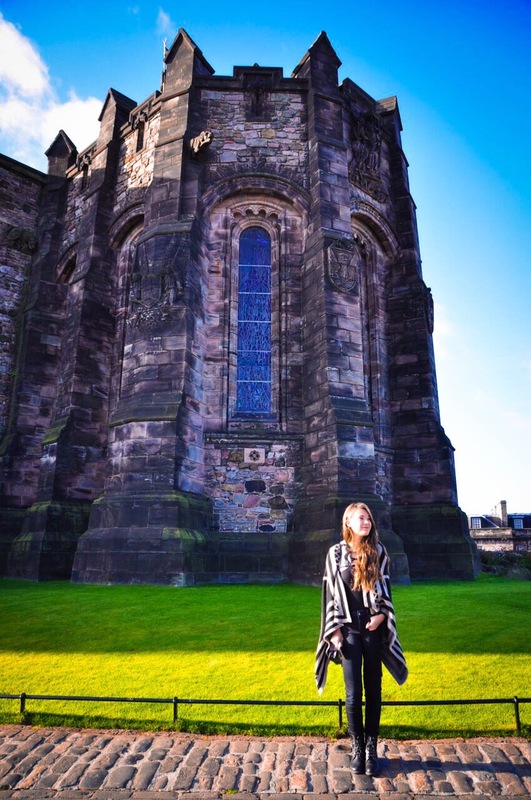 I have always had an obsession with castles since I was a small child. 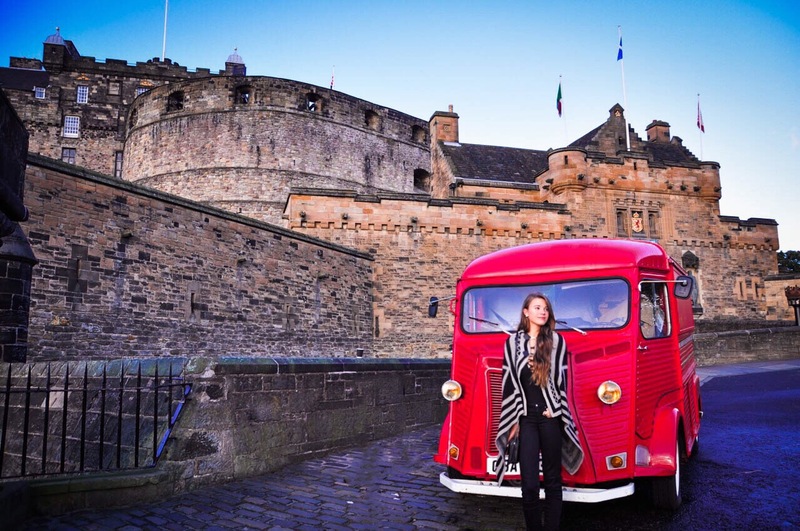 I loved reading this post and seeing your beautiful photos! Castles are indeed fascinating with all the secrets they keep. Your photos are gorgeous! Definitely a worthwhile read. Your comments are generous and gratefully appreciated. I’m a bit of a castle addict. In a few months we will be heading back to Europe, where I am definitely looking forward to visiting a few more.